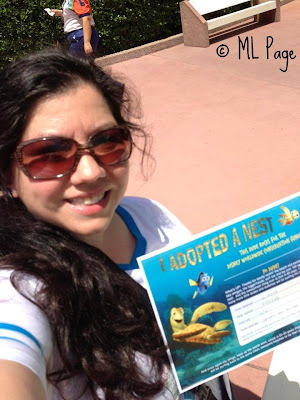 Picturing Disney: How Adopting a Sea Turtle Nest was the best Disney Purchase I've Ever Made! How Adopting a Sea Turtle Nest was the best Disney Purchase I've Ever Made! Even though I am 30 years old, I still play favorites and my favorite animal has always been turtles. I love the Iroquois creation myth where the creatures of the world inhabited the back of a sea turtle (Turtle Island), I love the idea of flying through the water or meandering along, I love squirt from Finding Nemo, I even love the idea of being able to retreat into my shell every once in a while. When I first heard that you could support the Disney Conservation fund and adopt a sea turtle nest it was immediately on my Disney to-do list for our next trip. When we arrived in Epcot for our March trip we made sure we stopped in the Seas to find that the nests are available mainly in summer months and cost $50 for the package. Luckily, I got to make a return trip in June and headed straight for Epcot and even skipped the ride to head right into the shop to purchase my nest!!! My husband knew how much I wanted to adopt a nest in March so he even gave me a gift card that would cover the cost before I left to make sure it was still a gift from him. 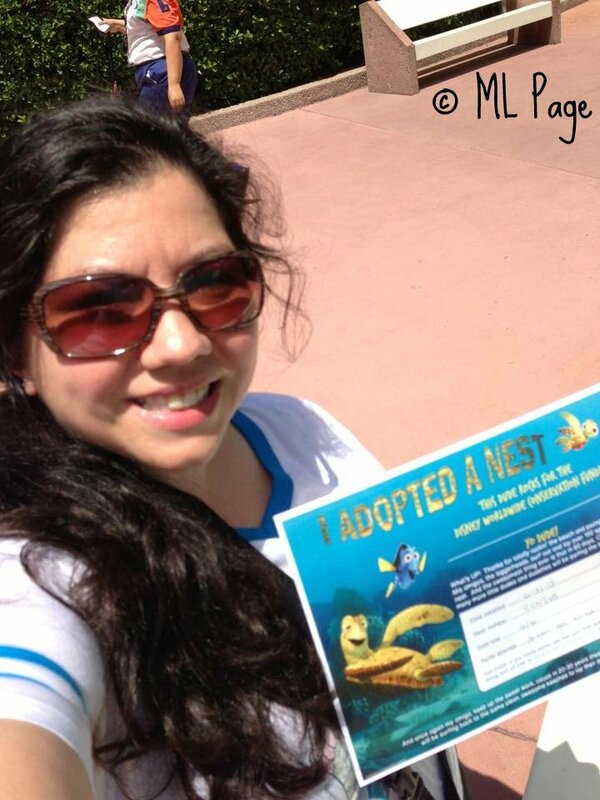 The adopt a nest program came with my own adoption certificate, a squirt plush keychain, conservation hero pin, and I got a unique nest number (the certificate even has the website url so you can easily check the status of your nest)! I was so excited for this bundle, and just knowing my money was helping my favorite creature! Every week I logged onto the website and checked for updates on my turtle nest. Then the news came: my nest hatched on August 2nd, and of the 107 babies 101 made it into the ocean!! If you can make out the text on the screenshot there is also a plethora of information about sea turtles and how they live. I hope someday I can watch sea turtles hatch and see what looks like a "small volcano erupting as baby sea turtles make their way out of the next and take that long walk along the beach". (I was very nervous about my babies making it after a documentary I saw on turtles!) Oh and these turtles nested right at Disney's Vero Beach Resort so if you will be there in the summer months and not in Epcot instead of adopting a nest maybe you can have the opportunity to see the volunteers in action or glimpse the babies head out to sea!